The Green Girl loves her Nathan Speed 4 hydration belt. My first Nathan Speed 4 got me through my very first marathon. 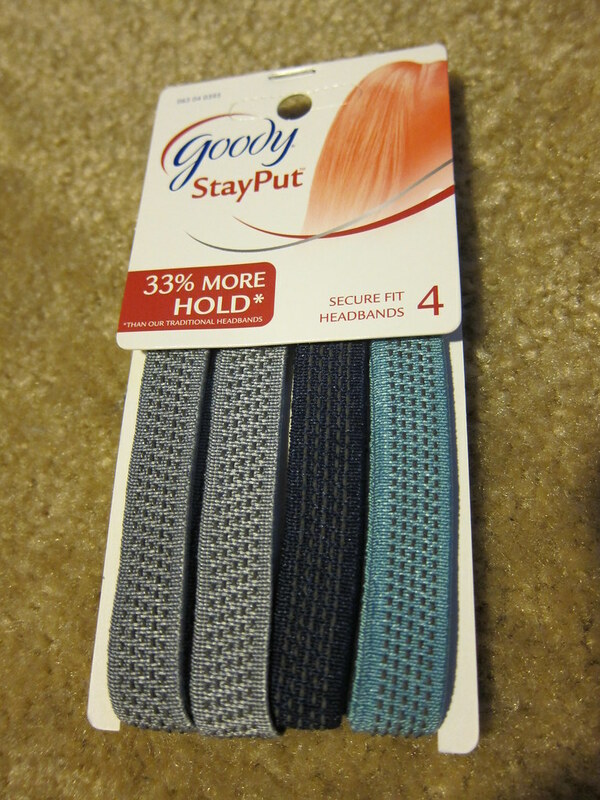 I had used Goody StayPut Thin No Slide Color Headbands to secure the bottles and keep them from popping out. In between the bottle holders, I had added a small pouch to carry my camera and another to hold a spare pair of socks and BodyGlide. Eventually, I had to replace my hydration belt because despite the fact that I didn't lose any pounds, my waist became smaller and the large was too big. Believe it or not, the medium was smaller and there was no longer enough space between the bottle holders for the pouches. Disappointed, I settled for stuffing the pouches into the front bottle slots. This solution has worked well for me but lately, as I've increased my mileage, I've been struggling to fit enough nutrition in my belt for the long runs. I'm a hungry Green Girl and I eat a lot. I also realize sports nutrition tends to be more compact and portable but I'm just not a huge fan of gels and gus. I mulled over this issue and then it came to me - I could add some elastic loops to stick additional snacks in. I took another one of the Goody StayPut Thin No Slide Color Headbands and cut it into quarters. 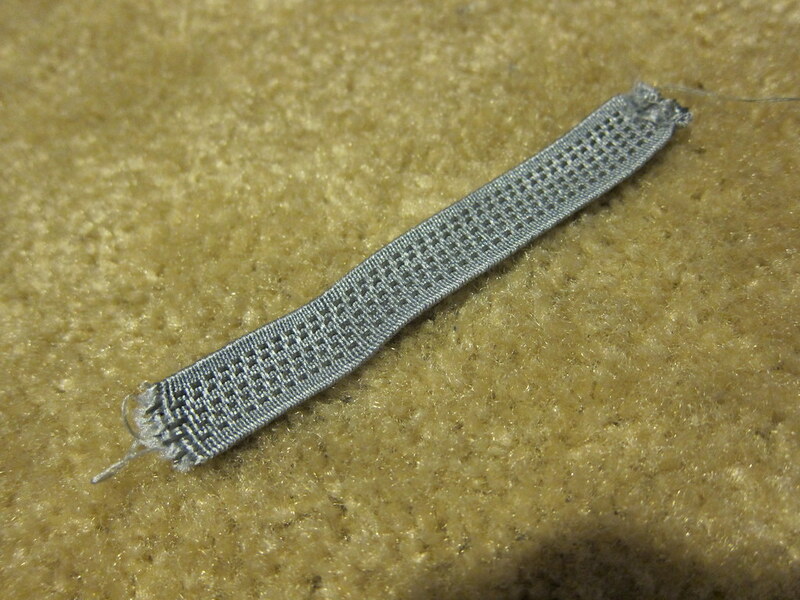 I folded over the edges of two elastic segments and sewed them to prevent fraying. 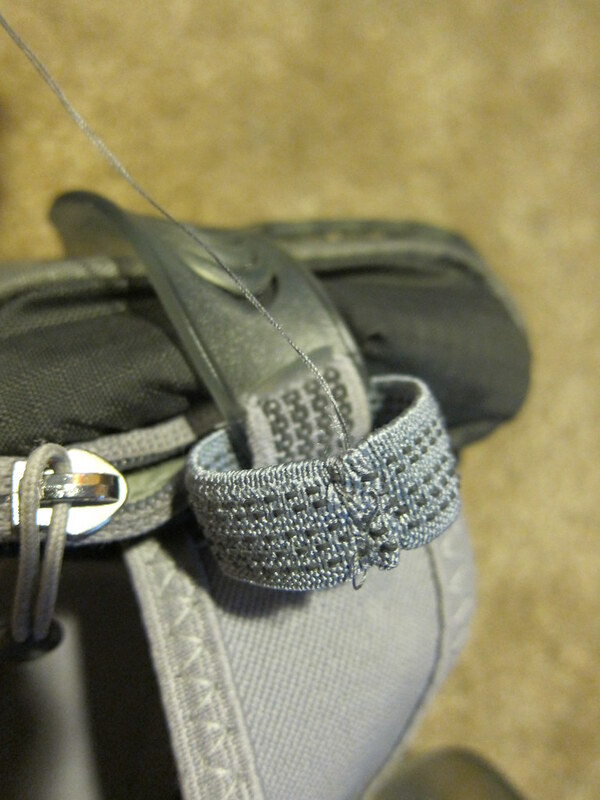 Once the edges were secured with my sloppy stitches, I looped the piece through the side of the bottle holder and sewed it together. I rotated the elastic to hide the messy connection. All things considered, I'm pleased with the outcome. 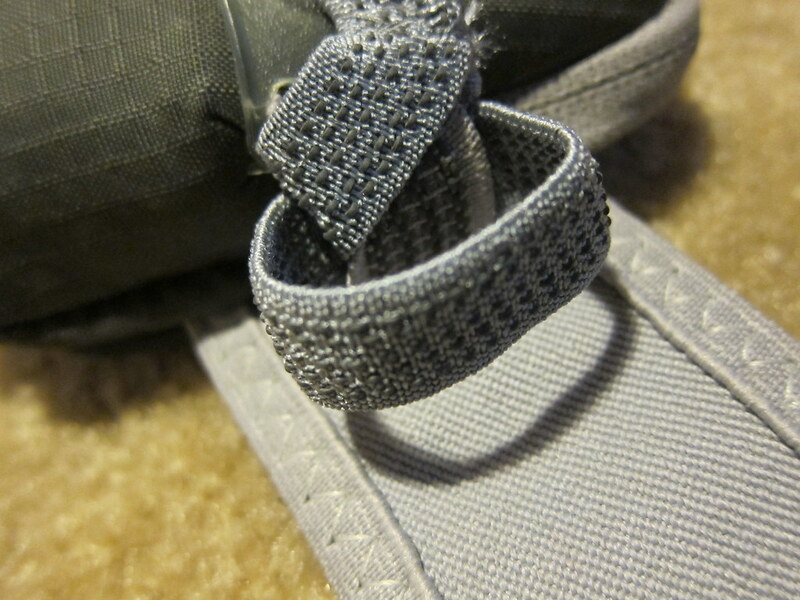 I'm grateful to Goody for making headbands that almost match my hydration belt and I'm glad my new loops match the elastic I added around the bottle holders. 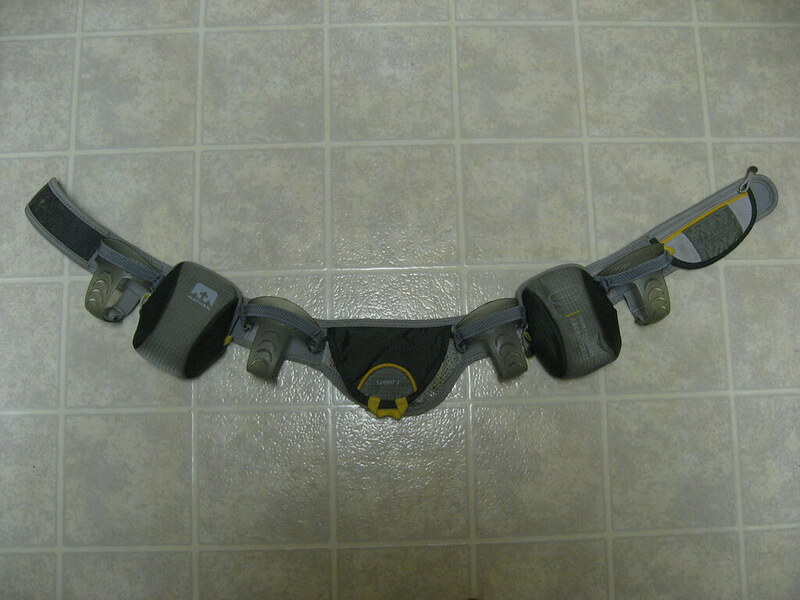 I am anxious to try out my new fangled hydration belt on my next long run. This solution is making me feel more confident about carrying all the nutrition I will need for the Athens Classic Marathon. Very creative with the belt! You may need to go native in Athens! Tadziki-flavored water, Gyro-flavored power bars - and olive colored everything! I'm off to buy my Nathan today! I want to be like you, you, you. Gear mods. way to go. Goody products clearly aren't just for hair anymore. Super cool mods! I just tried my first FuelBelt and am loving it as well. Nathan makes good products. So creative! I wold never think to do that. I have the Nathan belt and I love the idea of the hair bands. Currently, I use large rubber bands to secure my bottles from popping out. I think those things stretch out because mine is too big too. I have to use another rubber band to keep the small pouch from flapping all over. Good review! I like any running gadget type thing. 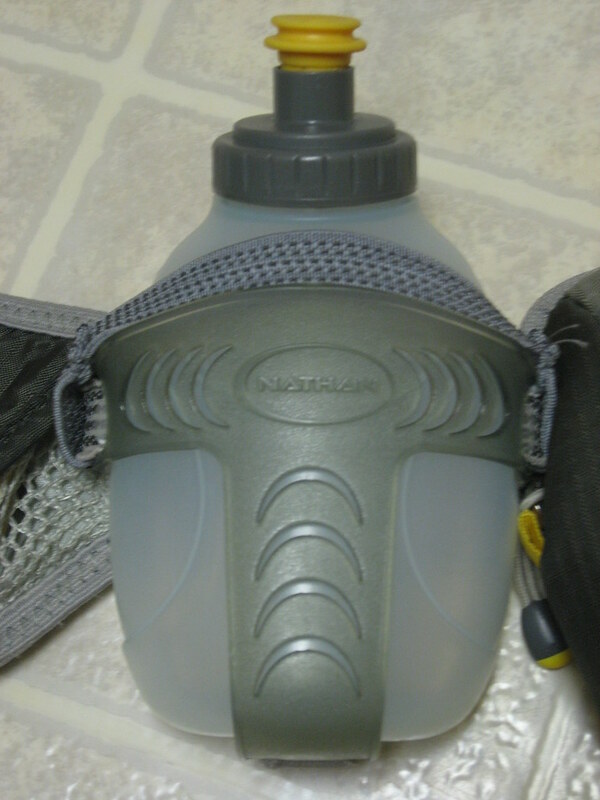 I moved from hydration belt to hydration pack when I started doing trail ultras. I needed my hands free as well as enough place for lots of food. 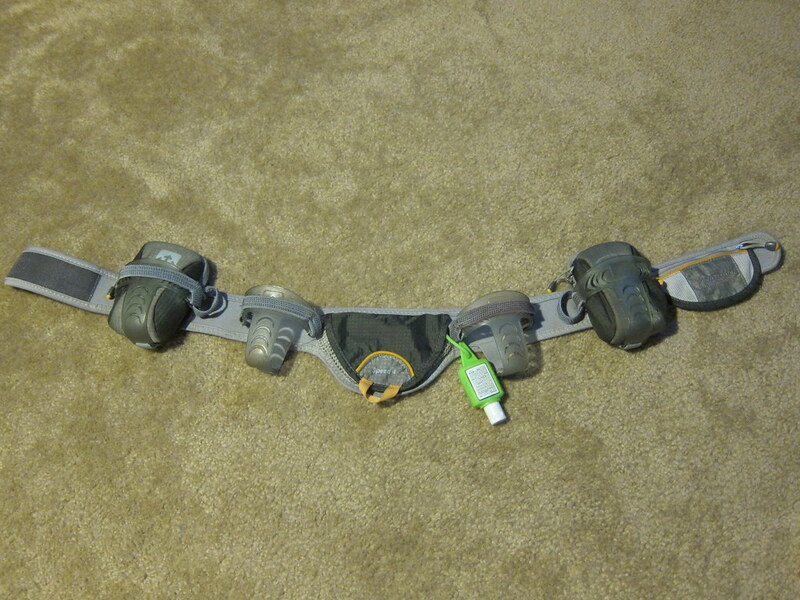 Now I only use the hydration pack and have a fuel belt around my waist.